This immensely practical, clear and thorough guide, written by acknowledged experts, will be an invaluable aid to anyone who cares about church buildings, realizes their potential for mission and wants to release it. 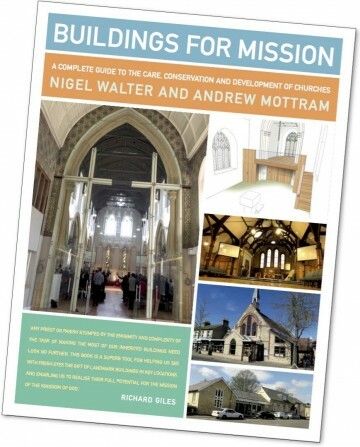 Church buildings can be an enormous asset for the gospel: this book will help anyone who reads it ensure that they are. Any priest or parish stumped by the enormity and complexity of the task of making the most of our inherited buildings need look no further. This book is a superb tool for helping us see with fresh eyes the gift of landmark buildings in key locations, and enabling us to realise their full potential. It supplies the detailed know-how on every aspect of the buildings agenda to inform and direct our energies to maximum effect for the mission of the kingdom of God. With admirable lightness of touch, the authors provide guidance on the procedural and technical issues of church care. This book is a must-have for all involved in caring for churches. It is comprehensive, so encouraging and full of practical advice. A copy should be given to all vicars, churchwardens and PCC members.